What Are We Going to Do about the Woeful Lack of In-N-Outs? How do we know this? 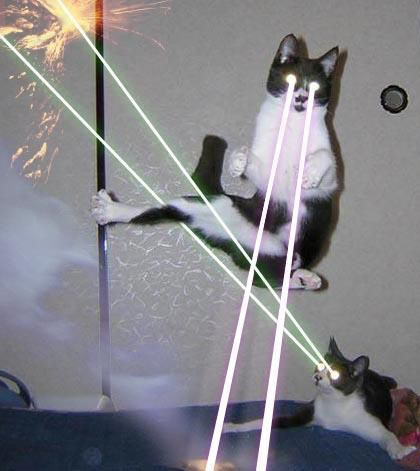 We don’t just go around asking people about their stance on laser availability. One group of Berkeley students recently launched a website called CitySandbox, where people can voice their thoughts about their community. The site combines a Google map of the Berkeley area with social networking. Users can click on a specific spot on the map and comment on whatever they so desire. Other users can then comment on the marker that is created and vote on whether or not they like it. Ideally, this will be a platform where serious community issues can be addressed. The project is part of Berkeley’s Social App Lab, an undergraduate research group which deals with media that changes social participation. The application has already dealt with some problems such as potholes and crime. We at the Clog are of course very concerned with the pressing matters raised. 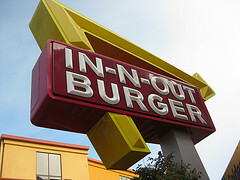 After all, why are there no closer In-N-Outs? Now, as usual, we won’t pretend to have any real understanding of how this nano-thing works, but apparently it has solid implications for the fields of optical computing, optics-based telecommunication and nanolasers that manipulate DNA. This means that related technology will be likely become much faster and that scientists will finally be able to develop a tiny army of super-mutants to take over the world.